With the World Rugby organization looking into the events of RBS 6 Nations league, the current emphasis is on choosing the referees who would be in charge. The tournament will start from February 2017 and it is time that everything was put in place ahead of the games. Nigel Owens from Wales is one of the referees being considered for the different games. As the autumn schedule has finally been concluded, the fans of the games can now look forward to see the Six Nations games in February. Club rugby games are scheduled till then, but this league of games promises to be big and exciting, scheduled among the numerous European rugby playing nations. As it is considered an international competition, there would be referees brought in from the other hemisphere as well. For instance, Romain Poite would be referring the opening match that would take place between Ireland and Scotland. This would take place at Murrayfield. Jerome Garces would also be tasked to done the final game that would decide the winners of the tournament. The game that will probably determine the title winner would take place on March 18th between England and Ireland. 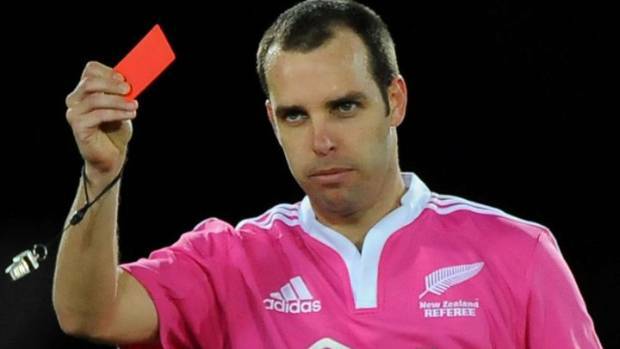 There are other referees such as Ben O’Keeffe, who would be coming in from New Zealand while Mathieu Raynal would be coming in from France. A total of twelve referees have been appointed for the different games. As the schedules are fixed and the respective referees, many fans are queuing up to purchase their tickets at the different venues. For those who are loyal fans of England, they will be able to enjoy the games that would be held at Twickenham. They would also get access to pre sale tickets and other goodies as privileges of being supporters and members of the national club of England.